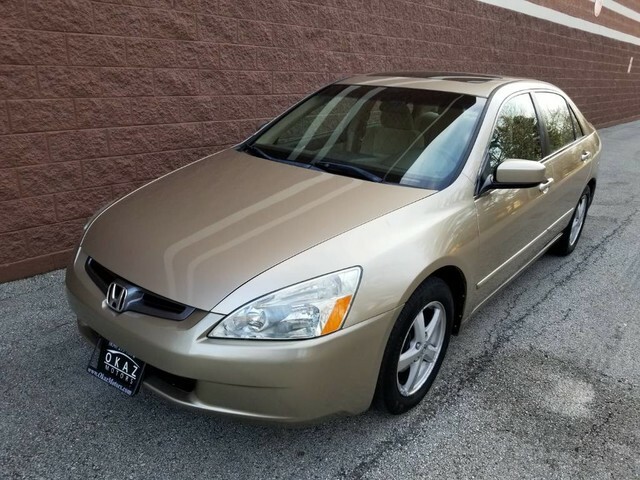 Okaz Motors has a wide selection of exceptional pre-owned vehicles to choose from, including this 2005 Honda Accord Sdn. Your buying risks are reduced thanks to a CARFAX BuyBack Guarantee. When it comes to high fuel economy, plenty of versatility and a great looks, this HondaAccord Sdn EX cannot be beat. This Honda Accord Sdn's superior fuel-efficiency is proof that not all vehicles are created equal. This vehicle has extremely low mileage on the odometer, so while it's pre-owned, it's practically new. Knowledge is power and with the complete records of this pre-owned vehicle, you'll have the power to make a wise purchase. Rare is the vehicle that has been driven so gently and maintained so meticulously as this pre-owned beauty. A true feat of engineering, this Honda Accord Sdn EX has otherworldly acceleration, prodigious power and is accompanied by the prestigious reputation of Honda. Although it may not make much sense, this vehicle will undoubtedly provide a memorable experience every time you drive it.